Deep Learning has revolutionized the fields of image classification, personal assistance, competitive board game play, and many more. However, the financial currency markets have been surprisingly stagnant. In our efforts to create a profitable and accurate trading model, we came upon the question: what if financial currency data could be represented as an image? The answer: it can! There are many ways to reshape currency data into an image. However, each requires a great deal of processing power and research. We powered our analysis with Pivot Billions, which allowed us to load and analyze our data quickly and to reshape it into an image using their custom module. While we could have reshaped the data to have the last X ticks for each tick data point or last Y minutes for each minute of the data, we already had working models from our initial research without deep learning. Powering Insight through Massive Optimization. Therefore we decided to take the signals from one of our models and enhance them with the power of deep learning and AI. By incorporating Pivot Billions into our Keras workflow, we were immediately able to prepare the data to have the last 100 minutes prior to each of our model’s signals in the row for that respective signal and to setup our training and testing datasets. We then easily loaded this data into keras and worked on developing our deep learning model. Many times we needed to modify which features’ 100 minute histories were being stored and incorporated into our deep learning so we made full use of Pivot Billions’ speed to decrease our iteration turnaround time. 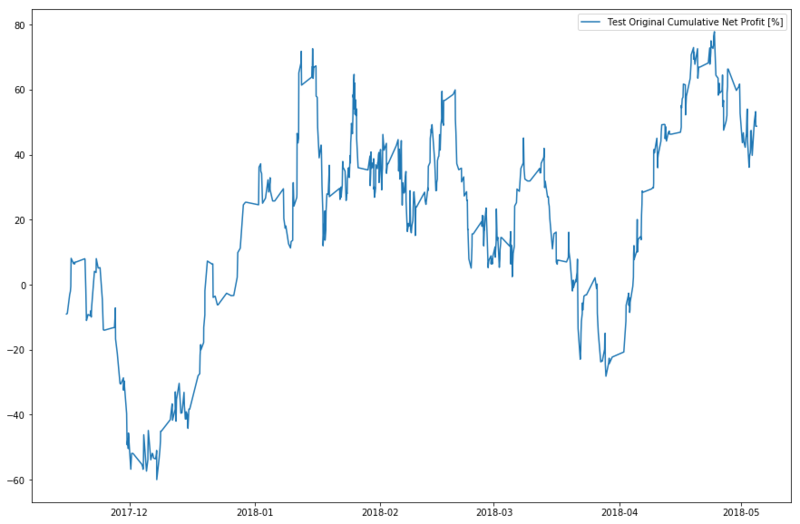 After many iterations, we were able to determine a deep learning model that learned our model’s weaknesses and strengths and accurately predicted the profitable signals. The periods of drawdown are greatly reduced and our profitability is much more stable, allowing us to achieve nearly 30% profit in less than 7 months. We’ll continue our research so look forward to another blog post featuring even better AI-enhanced models!